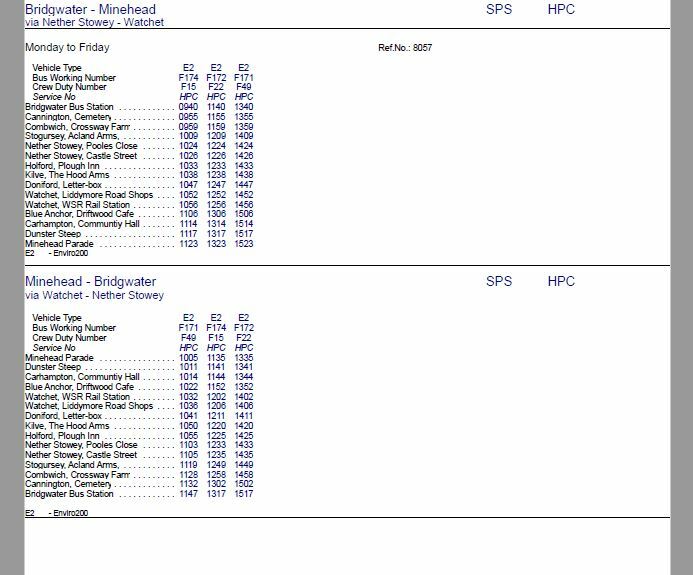 The bus times for the free bus service provided by EDF from Bridgwater to Minehead have been revised. Thanks for posting this, I hope people find it useful. Just one thing, could this bus not be extended and made more regular. To fund it all passengers, young and old, could pay from £1.50 return locally (within 5 miles) and from Minehead to Bridgwater £5.00 return? 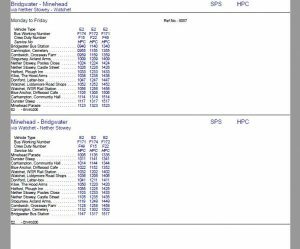 Thus town needs a reliable bus firm and the HPC bus meets of the criteria. Just ponder over this idea. I moved to Carhampton 3yrs ago, imagine how stupid I feel that I have only just found out about your bus service. I will start using your buses this week and you can’t amagine what a difference it will make to my life, to beable to go out for a couple of hours and not have to worry about the ticket prices, just to window shop, have a cup of tea ect, so THANK YOU! very much. Geraldine.